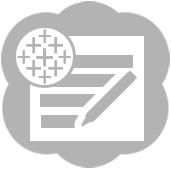 Use the Publish to Tableau Server tool to publish an Alteryx data stream as either a Tableau Hyper (*.hyper) or TDE (*.tde) file. Tableau Online or Tableau Server (10.5+) is required to use this tool. This macro is not automatically installed with Alteryx Designer. To use this macro, download it from the Alteryx Analytics Gallery. After publishing an Alteryx data stream as a Tableau Hyper (*.hyper) file, the file may incorrectly display with a TDE (*.tde) extension. The data source is actually a *.hyper file. You can verify this by downloading and extracting the *.tdsx zip file and viewing the *.hyper file in Data > Extracts. Blobs and spatial objects cannot be written to Tableau data sources, and are excluded. The input must contain at least one column that contains strings, numbers, or dates. Connect with a full page URL: Connect to Tableau Server using the full page URL. To do this, log on to Tableau Server from a web browser and then select a site. Copy the URL. Connect with server and site: Connect to Tableau Server using the server URL and the site name. Site: Tableau Server is designed to host multiple sites on the same server instance. Use the default site or enter a site name. Tableau Online does not have a default site - you must manually entered the URL. URL example: https://10ay.online.tableau.com/#/site/mycompanyssite/workbooks. The site name will be the string contained between the slashes following "#/site/". In this example, the site name would be mycompanyssite. Select existing connection: Connect to Tableau Server using a previously saved connection. Save connection history: Select to save connection history in the connection list. User names and passwords are not saved. Enter the Username and Password when logging on to Tableau Server from a web browser. Publish data source: Select to publish the data stream that is used as the input as a data source to the Tableau Server instance specified on the Connection tab. Enter data source name: Enter the name given to the newly created data source on Tableau Server. Enter project name: Select to enter a project name. Enter the project name on your instance of Tableau Server where you want to publish the new data source. Select project name: Optionally select an existing project name. Refresh project name list...: Select to update the project name list after you run the workflow. Output options: Select an output option. Create data source: Create a new file in the specified project folder. If a file already exists with the same data source name, an error displays. Overwrite data source: Create a new file in the specified folder and overwrite any existing file with the same name. Append data source: Append to an existing file. Hyper Extract (*.hyper): Create a Tableau Hyper Extract file. TDE Extract (*.tde): Create a Tableau TDE Extract file. Select Request authentication token to provide an authentication token in the X-Tableau-Auth field. Use this option to make subsequent calls to the Tableau Server REST API with the Download tool or other tools such as curl. The data source is not published. Â©2018 Alteryx, Inc., all rights reserved. AllocateÂ®, AlteryxÂ®, GuzzlerÂ®, and SolocastÂ® are registered trademarks of Alteryx, Inc.